Long has it been known that reading to your child will help him develop a strong handle of the language. Even reading to your infant can have a positive effect on her learning the language; and the sooner she understands it, the sooner she can work on speaking it to you. (And the sooner she can use her words to tell you what she wants rather than screaming and grunting at you.) If you develop a routine where each day you read to your child, eventually that child will grow to take over the reading position during that routine. Because of this, it’s always recommended that you have a wide selection of books for you and your children to read. Of course, acquiring a collection of anything requires a means to organize it and luckily, books are easily organized in a bookcase. Finding one that suits your child, though, requires a bit more thought. We reviewed dozens of kids bookcases to identify the best of the best. We looked at those for toddlers and those that will age with your child as he grows. We found bookcases that will also hold toys and forward facing bookcases that will make clean up all the easier. Whatever you opt for with your child’s bookcase, we’ve found the right one for you. For a bookcase that has plenty of space to store your little one’s books and will stand the test of time, pick up a Saganizer 5 Pockets Book Shelf and Magazine Rack. When we started researching kids bookcases, we almost immediately found the Saganizer 5 Pockets Book Shelf and Magazine Rack and determined it was the obvious choice for our top pick. 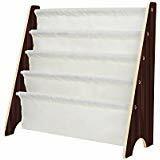 With a height that’s ideal for a child and the quality that will keep it like new for years to come, you’ll be one of hundreds who sing this shelf’s praises. The Saganizer 5 Pockets Book Shelf and Magazine Rack will let your child see his favorite books on display, allowing him to pick what book he wants without having to pull all the books out to identify his choice. Even before children can read the words on the page, they’ll be able to recognize the pictures and the cover, and when they develop an emotional attachment to a particular book, they will be more likely to want to read with you. And the more they read when they’re little, the more they’ll want to read as they grow. With an overall rating of 4.5 stars on Amazon and over 900 customer reviews, it’s entirely reasonable to assume this bookcase will be well suited for your family. 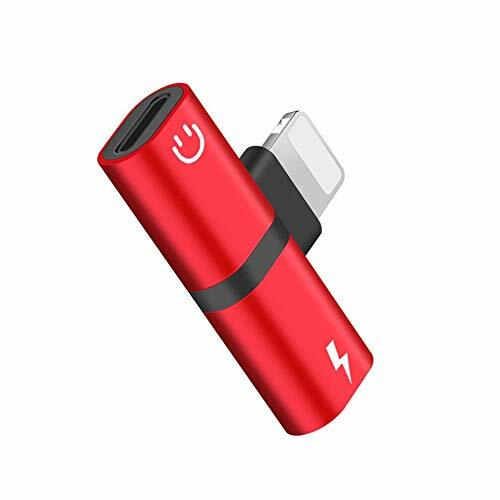 88% of the reviews are positive, so the chances are, you’ll be satisfied, as well. Pick up the Fantasy Fields Transportation Hand Crafted Kids Wooden Bookshelf for a fun design bookcase that will pull your child’s interest. The Fantasy Fields Transportation Hand Crafted Kids Wooden Bookshelf has three shelves for your little one to store his books or possibly a few favorite pieces of decor. It also has one long drawer along the bottom to store his favorite toys or little treasures. And with four theme styles from which to choose, your child will be sure to get a bookcase that appeals to him. The bookcase comes with step-by-step instructions that will help you assemble it with ease. It’s hand painted with lead-free and water-based paints so your little one will be safe, even should he misuse it during his teething stages. It’s also hand carved to the theme you choose; something that goes a long way towards making it an aesthetically pleasing focal piece in your child’s room. There are over 250 customer reviews on this bookcase on Amazon earning it an impressive 4.7 stars; and the significance of that can’t be overstated. 92% of customers gave this bookcase glowing reviews. For a bookcase that will organize your children’s books without breaking the bank, try the HOMFA Kids Book Rack Storage Sling. 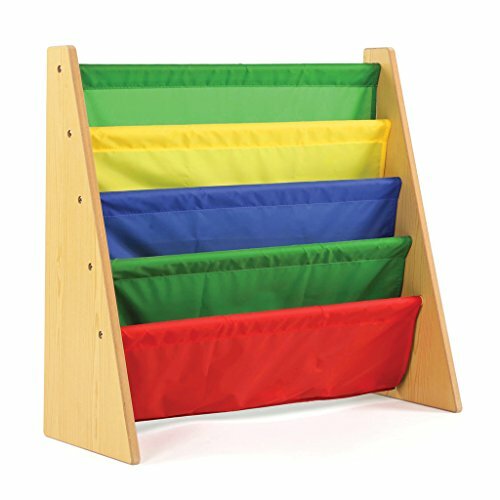 The HOMFA Kids Book Rack Storage Sling has five fabric slings to store and display your child’s books, which means less mess when deciding what book to read. And, because placing a book on a face-out bookcase is an easier skill, your little one will be able to put her books away in this long before she’d have the motor skills to organize her books upright and flush together in a traditional bookcase. The assembly is a breeze and, once put together, you won’t struggle rearranging the room with this in it; it’s under 7 pounds so you can move it easily, too. Of course, this does imply a great deal about safety. First, on the positive side, your little one will be less likely to hurt herself should it tumble onto her, but second and a huge con, it definitely will tumble should she climb on it. Be sure to affix it to the wall to keep your little one safe and make this “con” a nonissue. For a bookcase especially for your littlest ones, take a look at the Tot Tutors Kids Book Rack Storage Bookshelf. 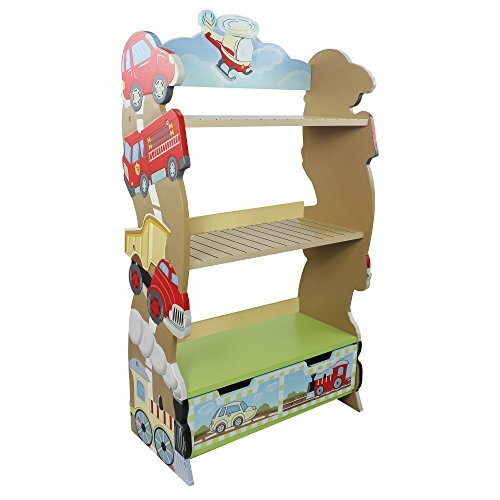 The Tot Tutors Kids Book Rack Storage Bookshelf is the perfect height to make all your books easily accessible to toddlers and preschool aged children. This way, not only will their books be accessible to them, encouraging their interest in reading, but they won’t have any need to crawl on top of it and hurt themselves. (Still secure it to the wall though, just in case.) There are five deep pockets to hold your larger books as well as the tiny pocket books that your child will acquire and both the fabric and wood are plenty durable enough to stand up to your toddler. This bookcase will promote your child’s reading skills as well as organization; provided you require they pick their books up and put them away after use. But you shouldn’t need to struggle nearly as much because they’ll be able to easily put them in this face-out bookcase especially designed for their little hands that are still developing their motor skills. There is an absolutely spectacular amount of customer reviews on Amazon for this bookcase: over 3,500! And what’s even more surprising about these 3,500 strangers is that they all seem to agree on this bookcase’s quality. A durable bookcase with lots of storage options. The Sauder Pogo Bookcase is an excellent option for the child who has a strong need to organize. (Or a parent who has a strong need to organize their toys and books for them.) There are two bookshelves along the top of two cubbies that will provide bins for toy storage. The top of this bookcase can display decor or even more books with a set of book ends that fit your child’s preferences. You can add decals or picture frames and this can even grow with your child. Because this is such a good base-model for storage, these cubbies can be used for so much more than toys; spare pillows, art projects, or even shoes. Each side of this bookcase features a label that will allow you and your little one to properly identify what goes where. Also included are all the hardware and wood glue you will need for an easy assembly. And because it’s part of Sauder’s “Harbor View” collection, you’ll even be able to buy matching furniture to really pull your child’s room together. This multipurpose bookcase has nearly 1,300 customer reviews on Amazon earning it an overall rating of 4.4 stars; not too shabby at all! In fact, we think those numbers are good enough to solidify your confidence in the purchase. If reading is a priority to your family (and if you have children it should be), then you’ll probably have a few dozen books on hand. The more you have, the more variety you can offer your child to read and the less bored you’ll be reading to them. (Although they will probably still have favorites that they will make you read a dozen times each night, if you let them.) Even a child with a quality library and a frequently-used library card can and should still have favorites that he or she will want to own. The more you have, the more apparent the need for a bookcase. If you don’t have a way to organize the books, the more likely they are to be torn and written on and lost; all of which equate a waste of money for you. If you have children, you will very likely need a bookcase of some kind. The more children you have, the more likely the need and the bigger it will need to be. The more a child is read to, the easier he will learn to speak and understand you and that means school will be easier for him, as well. Virtually all learning requires a literacy level and the higher his proficiency, the easier he will learn. The more you encourage an active reading routine the more prepared for life he’ll be. And if that isn’t motivation enough, consider how much easier it will be to help him with his homework once he knows the basics of the language. (And the further he can go if he continues learning at a steady pace with a jump-start in his early years.) For the ultimate homework station, you’ll also want to check out our list of the best standing desks. Durability. Children are rough. It takes a while to teach them “Soft hands” and “Gently!” before they touch anything without a loud WACK! sound effect following it. Until little one gets that concept, you’ll need something that can take the beating children give to their things. A wood or hearty plastic or even a high quality combination with fabric is a great idea to include in their room; especially as your little one becomes a bit more stable and less clumsy. Ages with child. If your little one has a favorite character or theme (firetrucks or fairies for example), you may be able to excite and lure your child into his or her bookcase by buying one that features those themes. Any method to encourage reading is a big bonus for you! But you’ll also want to consider that childhood themes won’t always be a favorite for your child. While he may absolutely adore his train station bookcase at 6, at 16 he’ll very likely want to be done with it. You’ll want to take that into consideration when spending a big chuck of change on a themed bookcase. Fabric bookcases. Fabric obviously has more give than a traditional wood (or even plastic) bookcase and that means your little one will have fewer surfaces to hurt himself on should he biff it and fall into the bookcase. It also means you’ll be able to fit more books in odd shapes into a space that has a bit of flexibility. And fabric means your little one won’t be as tempted to climb (simply because it won’t support his weight!) Fabric is also leaps and bounds less expensive than a high quality wood, making it much more feasible for the masses. Open face bookcases. Face out bookcases are those that you (and your child) can put books in without a huge amount of effort in organization. They’ll also be able to take the books out independently and even more importantly, see the covers without having to dig and pull out every book on the shelf to find the one they want. This will help keep your room clean and it will play a huge role in teaching your children how to clean up after themselves. Setting a foundation for cleaning up when they still want to help will keep them motivated throughout their lives; start them cleaning young! Multipurpose bookcases. This is particularly useful for smaller children and in tight places. Toys will bleed into every room in your home, try as you might to avoid it. Adding more ways to organize those toys is always a good idea. We particularly like the idea of keeping toys that are relevant to the books included on the bookcase contained within. For example, as you read a book about bears, you’ll be able to pull out a teddy for your little one to snuggle as you read. Mounting hardware/accessibility. Children climb; and to a toddler or young child, a bookcase can look exactly like a ladder. That’s the first thing you’ll need to consider when you put together your child’s bookcase. You will absolutely, positively, definitely need to mount your child’s bookcase to a wall. Neglecting to do so is inviting your child to climb up on top of the bookcase and fall – best case scenario. Worst case is that he can pull that heavy bookcase on top of himself and seriously injure or kill himself. Don’t even question it; have a mounting plan in place and purchased before you even put your child’s bookcase together. What is the standard depth of a bookcase? If “standard” is the key word, then that implies a more traditional wood bookcase where the books are stored flat against the sides. The depth of such a bookcase will likely be between 10 to 12 inches. That is deep enough to fit nearly all “standard” books and while children’s books have a wide variety of sizes and shapes, this will be the depth that can hold the majority of your little one’s books. For a face out, or fabric book shelf, the depth will be how low the sling hangs to contain the books without each falling out, top heavy. In that case, you’ll probably want a depth of at least 5 to 6 inches. How wide should a bookcase be? There are ways to reinforce shelves so that they’re braced and can support weight with a longer width; however, without any special allowances for these extra wide bookcases, you’ll want it to be limited to a maximum of 30 to 36 inches wide. Even that long will still need to be monitored if you keep heavy books on the shelves regularly. While loading the bookcase, you’ll want to make sure the shelves or bars aren’t bowing at all and that’s a concern you’ll need to check up on periodically. Not only can the weight deteriorate your bookcase over time, if it were to break, it could injure and harm your child. So rather than getting one, extra wide bookcase, you may want to consider getting two, more narrow ones, to keep your little ones safe. How much space do you need between bookshelves? A bookcase that will allow you to customize the space between each shelf is incredibly useful for a bookcase holding children’s books. These types of books come in extra large and teeny tiny sizes; along with every shape under the sun; monsters and frogs and even toilets! You may need an extra large space for some and will benefit from a more narrow space for another group of books. However you decide to group them, there is a standard spacing that can help you, should you want to use it. For most “adult” and “standard” books, you’ll want to space each shelf with about 7 to 15 inches between. Most bookcases that do not include the customization option will have shelves approximately 10 inches apart. Shelf Capacity, when referring to a bookcase, is the weight which each shelf can hold safely. For a bookcase, that means how many books. (If you’ve ever moved and carried a box of books, you know just how heavy books can be when grouped together.) Of course, each book weighs differently and there is no exact science that says a book shelf can hold x number of books. But (and lucky for you) children’s books do tend to weigh a bit less than say, a textbook. The wider the shelf is does not mean you’ll be able to put more weight on each shelf; in fact, it may mean the opposite. But the primary determiner for how much weight your shelves can hold is the quality of the brackets supporting them. If they don’t have a system of brackets, (and most children’s bookcases do not), you’ll want to be extra careful and always heed the manufacturer’s recommended capacity. We looked at 20 other bookcases for kids. Even though they didn’t make our 5 best kids bookcases list, they’re the best of the rest and each is still a great option for your child. The information you’ll need to compare each one is included with the listing. With three sling shelves and 6 fabric/cardboard drawers, this has plenty of storage for your little one. This book rack has four slings and two collapsible storage boxes, so your little one can keep his favorite books and favorite toys together. With sweet animal prints to choose from, this bookcase will match any baby room. This bookcase has a quick and easy installation that will have you organizing before you know it. This lightweight bookcase is under 6.5 pounds, so you’ll be able to move it to rearrange a room easily. This bookcase has two shelves and three fabric bins that will allow your little one to store books, papers and even a few favorite toys. This is a perfect little bench for your little one to plop down and read the books that are stored in the surrounding space. This bookcase can be used for books alone or decor and toys, also. This bookcase has an espresso finish so you can put it in your living room and match your decor perfectly. This bookcase is a reading nook that will give your child the illusion of entering his own little world as he reads. You can adjust these shelves to fit any type of book your little one may have. This bookcase comes with durable casters that will allow you to roll it to wherever you need it. If your child loves dolls, then this bookcase will serve double duty for her entertainment; both as book storage and gorgeous decor. This classic bookcase will age well with your child from toddler to teens and beyond. 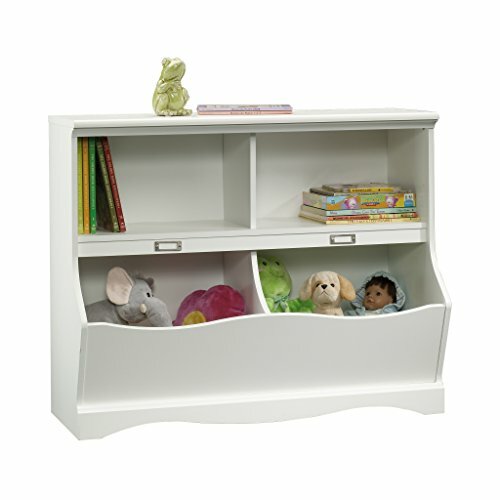 To make sure you’re utilizing all the space you have in your little one’s room, pick up a corner bookcase. You can easily purchase some customized decals to make this functional bookcase feel a bit more personal for your little one. This is exactly the type of bookcase you can get your little one that she can move with her for her whole life; from college to first apartment. This is an excellent bookcase for your little ones who want you to wheel their book collection with them wherever they go. This wood bookcase will allow your little one to see the books he wants with the added stability that a fabric face-out may not be able to give him. This bookcase is part of Delta’s MySize collection and as such, will have plenty of coordinating furniture to match your little one’s room perfectly.